Born at Cherokee, Iowa, October 3, 1882. During World War I, he absented himself from the U.S. House of Representatives, where he was serving as a Member of Congress from South Dakota, and on January 5, 1918 enlisted in the U.S. Army. He served in the 313th Infantry as a Private, Sergeant, Second Lieutenant and First Lieutenant. He was awarded the Distinguished Service Cross by the U.S. and the Croix de Guerre with a Gold Star by France. 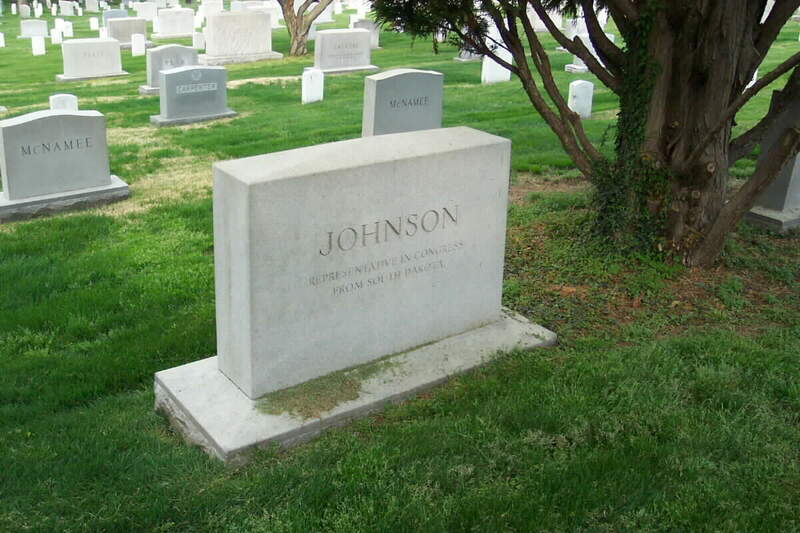 After continued service in the Congress, he practiced law in Washington, D.C. until his death there on August 3, 1939. 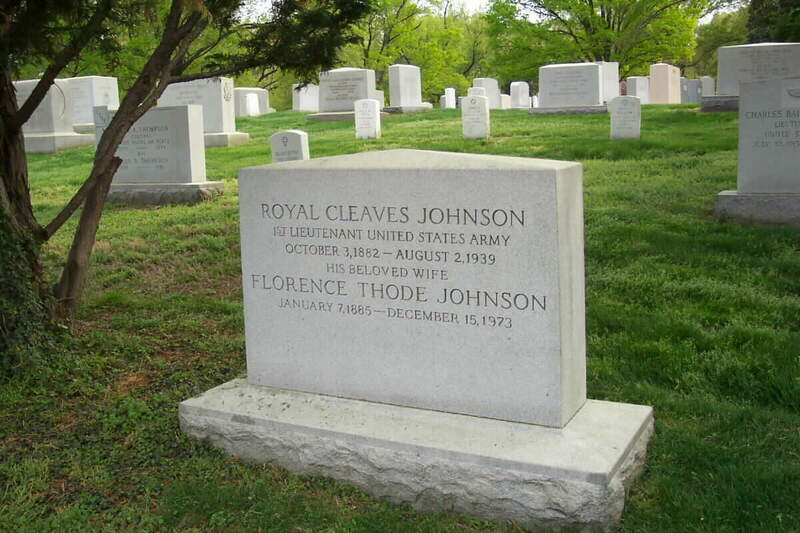 He is buried in Section 6 of Arlington National Cemetery. 313th Infantry Regiment, 79th Division, A.E.F. The Distinguished Service Cross is presented to Royal C. Johnson, First Lieutenant, U.S. Army, for extraordinary heroism in action at Montfaucon, France, September 26 - 27, 1918. 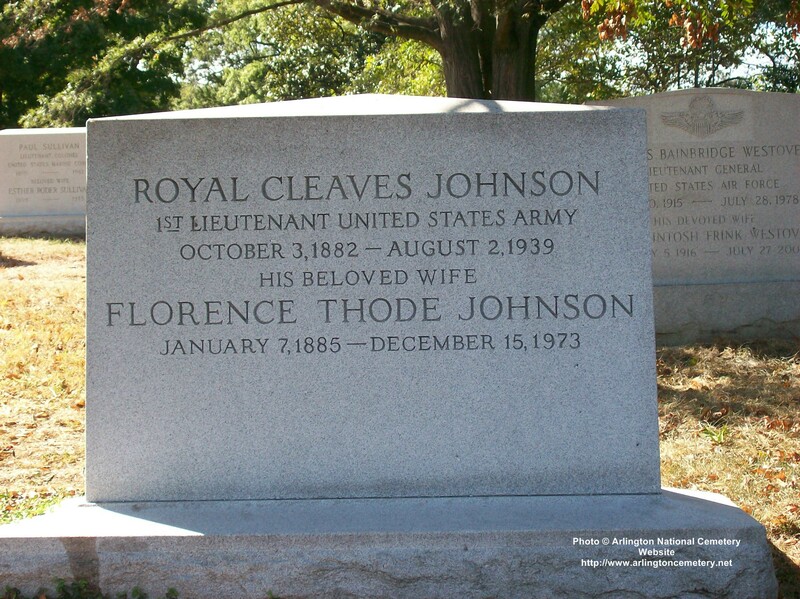 Lieutenant Johnson constantly exposed himself to the enemy fire during the action at Montfaucon, setting an example to his men by his fearlessness. When severely wounded by shell fire, he assisted two wounded men of his company to the rear and refused to occupy space in the ambulance until these men had been provided for. Representative from South Dakota; born in Cherokee, Cherokee County, Iowa, October 3, 1882; moved with his parents to Highmore, Hyde County, S.Dak., March 19, 1883; attended the public schools; was graduated from the law department of the University of South Dakota at Vermilion in 1906; was admitted to the bar in 1906 and commenced practice in Highmore, S.Dak. ; assistant State’s attorney of Hyde County in 1906 and 1907 and State’s attorney of the same county in 1908 and 1909; moved to Aberdeen, S.Dak., in 1913 and resumed the practice of law; attorney general of South Dakota 1910-1914; elected as a Republican to the Sixty-fourth and to the eight succeeding Congresses (March 4, 1915-March 3, 1933); chairman, Committee on Expenditures in the Department of War (Sixty-seventh and Sixty-eighth Congresses), Committee on World War Veterans’ Legislation (Sixty-ninth, Seventieth, and Seventy-first Congresses); was not a candidate for renomination in 1932; during the First World War he absented himself from the House and on January 5, 1918, enlisted in the Army; served in the Three Hundred and Thirteenth Infantry as private, sergeant, second lieutenant, and first lieutenant; was awarded the Distinguished Service Cross by the United States Government and the Croix de Guerre with gold star by the Republic of France; continued to practice law in Washington, D.C., until his death there on August 2, 1939; interment in Arlington National Cemetery.